Australia is truly the land of opportunity. You can start your own business from scratch or choose from thousands of franchises and business opportunities, in practically any field you want. 1. Common Brand and Operating System. One of the tenets of a successful franchise system is that all units operate under a common brand and operating system. This is how a consumer knows a Macdonalds will be the same in Australia then Europe. A franchise system makes a concerted effort to ensure that every operator is doing things the same and every unit is supporting and reinforcing the brand. In a small business, there’s typically no requirement to operate under a common brand. If you are establishing your business from scratch you build your own brand name, which can take years to establish, and as there is no guidelines you are only working off your knowledge & friends around you. In a franchise system your brand is established from day one & known through word of mouth, social media, suppliers, venues & other resources. 2. Ongoing Support. A franchise typically has an ongoing commitment to support you over your entire tenure in the business. These support programs usually involve structured periodic contacts with dedicated support personnel for marketing, staff training, technology and virtually any other aspect of ongoing operations. Though a biz opp may also offer you ongoing support, the process is usually very informal and not based on any contractual commitment. 3. Operating systems. Would you rather invent the wheel, or buy one ready-made? If you’re the creative, innovative type, starting your own business is the way to go. A franchised business provides a complete, out-of-the-box business, ready to “plug and play.” You have to follow the operating manual. If you can’t, fly solo. 4. Equipment & Supplies. Outfitting your new business with everything you need to succeed means researching what equipment to buy, finding suppliers, and negotiating deals. You may buy a pizza oven that’s too big or buy more fresh food than you need; or you may buy one that’s too small and run short on capacity as your business grows, or run short on pepperoni on a busy evening or weekend. Franchisors can provide invaluable help in knowing both what and how much to buy – often at reduced prices. 6. Speed to Market You can build the most beautiful retail store or buy the perfect van for your mobile business and fill both with the most expensive equipment. That takes time, as well as money. Or you can sign up with a franchisor who’s done this hundreds of times and be handed a shopping list of exactly what you need to set up shop, allowing you to open for business more quickly than if you had to research it all on your own. 7. Faster & guaranteed ROI (Return on Investment) No matter how grand your opening, when you start your own business it takes time to build a client base and local reputation. When you advertise a known brand name in your new market, customers come ready-made, and the cash starts flowing faster. 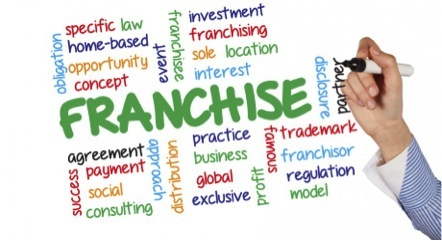 Increased chance of a successful sale of the franchise upon exit. This entry was posted in About Circle of Love Franchise and tagged Business for sale Hobart, business for sale ipswich, circle of love weddings, franchise for sale brisbane, franchise for sale canberra, franchise for sale ipswich, franchise for sale sunshine coast, franchise for sale Townsville, Franchise Vs Independent Business, sydney franchise for sale, wedding business for sale, wedding planner course brisbane on December 4, 2013 by admin.